These can be consumed in its juice form, dried, or raw, but its health benefits still prove to be numerous regardless of the form you take it. It treats renal problems: Dried cranberries have components that help in treating urinary tract infection and other kidney problems. It can even help in the passing out of kidney stones. It strengthens the immune system: It has been proven in researches that dried cranberries have bactericidal properties that fight against infection. Good source of calcium: The calcium content in dried cranberries helps fight tooth decay and strengthen the teeth’s enamel as well. It helps prevent cardiac diseases: The high content of polyphenols in cranberries lowers down the LDL levels in the body, which also improves the function of blood vessels therefore decreasing the chances of having heart problems. 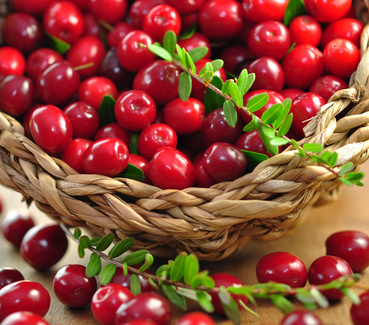 Prevent kidney stone formation: Quinic acid is found in cranberries, and this particular acid prevents the formation of kidney stones by averting the union of phosphate and calcium that are the primary components of these stones. Rich in fiber: The roughage in cranberries contains a huge amount of fiber, which aids in digestion and elimination of wastes. Antioxidant: Cranberries are a rich source of antioxidants that help prevent certain types of cancer and cardiac diseases.